You can support the 640 Foundation while you shop on Amazon! 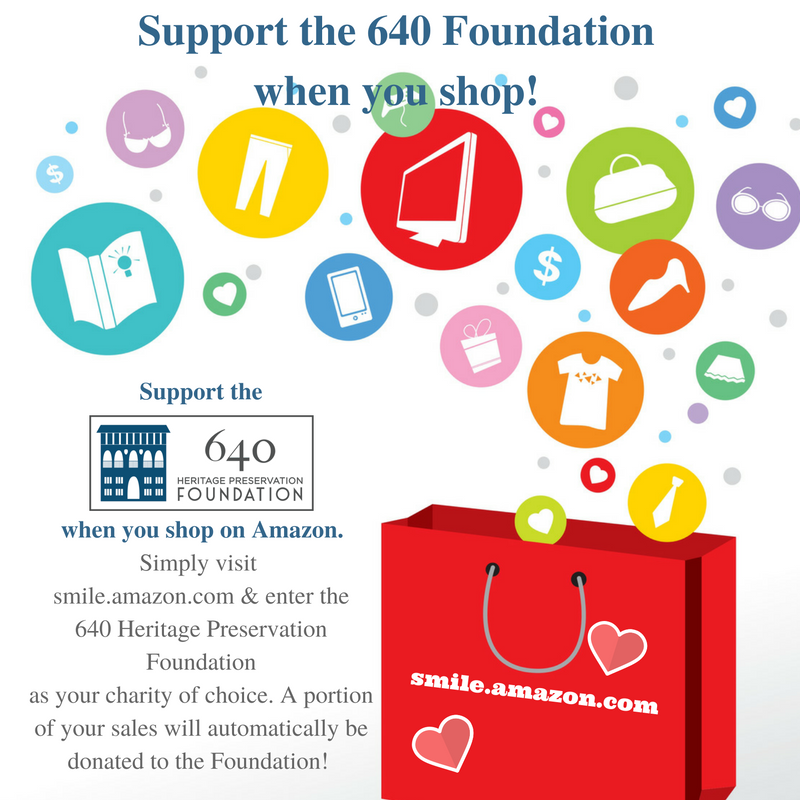 When you do your shopping at AmazonSmile, Amazon donates 0.5% of the purchase price to the 640 Heritage Preservation Foundation. Whether new to the site or a veteran shopper on Amazon, we invite you to shop at smile.amazon.com and choose 640 Heritage Preservation Foundation as your charity of choice. Use the same login information as you would with Amazon. The only difference is that when you shop on the smile site, Amazon donates to the charity of your choice! Bookmark this link http://smile.amazon.com/ch/20-0608904 and support us every time you shop! 2. Search for “640 Heritage Preservation Foundation” in the “pick your own charity” search box. Note: Amazon is donating a percentage of their profits to the Foundation when you shop this way. There is no extra cost to you.